It’s another week of great shows and today also happens to be my birthday! By some miracle of Betty Ford, I did not spend any portion of my weekend throwing up, passed out on a bathroom floor or sobbing into a bag of flaming hot Cheetos. A total winner of a birthday! 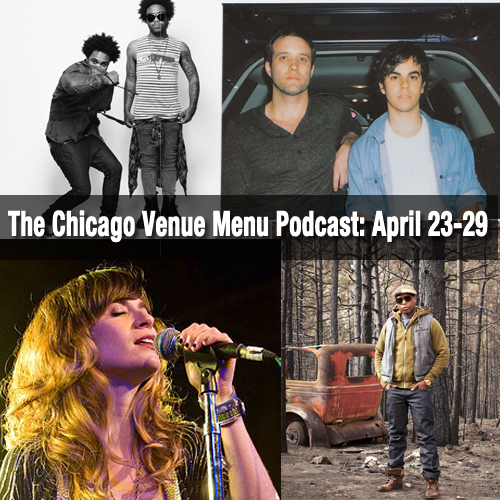 You can download The Venue Menu Podcast for April 23-29 right here (right click “save as”) or subscribe to the podcast via iTunes.